iPhone is one of the fastest smartphones in the world, but as smooth as the iOS user experience is in general, some users find that their iPhone is getting slow day by day. Why? As the time passes, the unwanted junk files created by different apps become more and more, these hidden or visible junk and temporary files make your iPhone memory bulky and slow your iPhone. So, how to make your iPhone faster? There is no easy way by default to remove these unnecessary files. However there are always some method to optimize it. iMyFone Umate Pro or iMyFone Umate Pro for Mac can clean over 30 types of hidden iOS junk files in just 1-click. It can remove app caches/cookies/temp files/crash logs, as well as corrupted files. And these are the FREE function of Umate Pro, you do not need to pay for it. Follow the steps to clear up your iPhone and make your iPhone run faster! 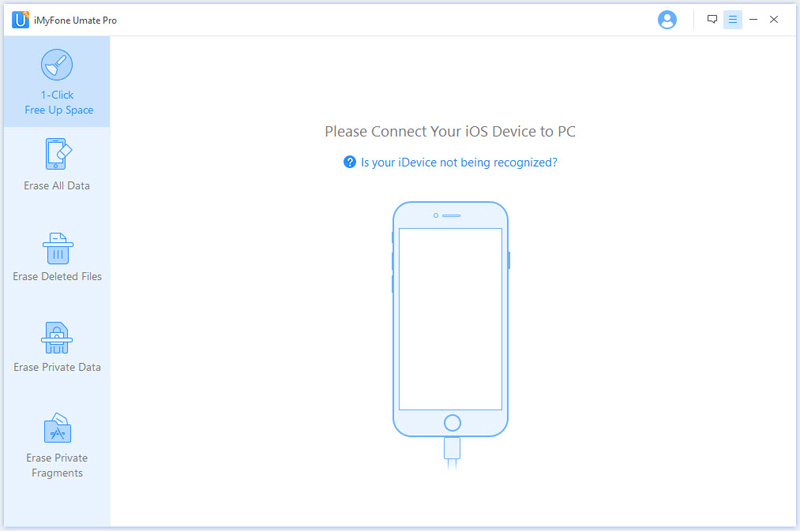 Step 1: Run the program and connect your iDevice to your PC or MAC via USB cable. Step 2: Click “Quick Scan”. Then“iMyFone Umate” will start scanning your device for all unwanted junk files. 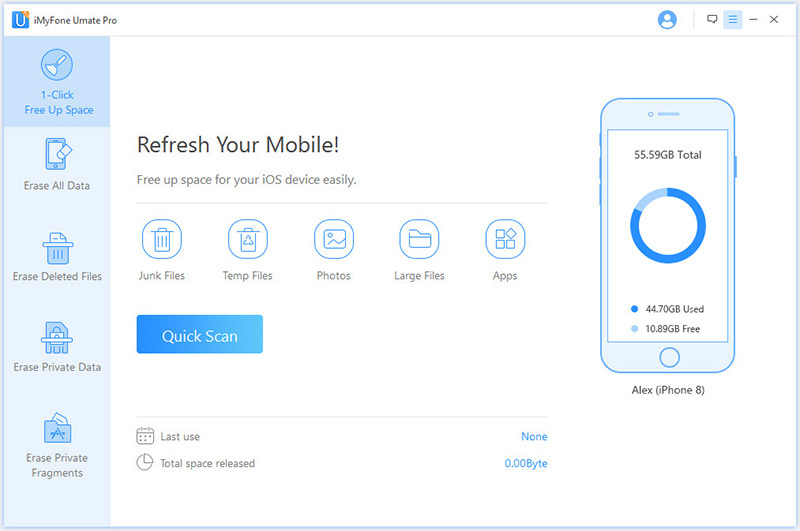 Step 3: When Scan is complete, Umate will display all your junk files, you can select and delete those files to improve your iPhone performance. 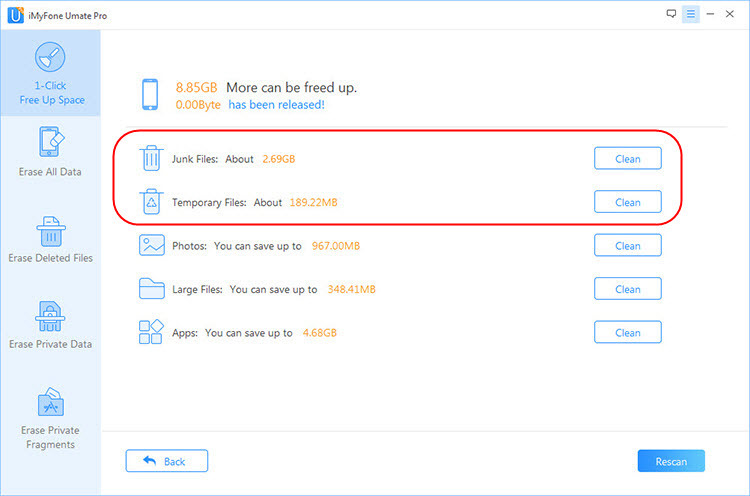 Generally, if the iPhone have been used for long time without cleaning up, then you can save massive space by clear up junk files. Most of us are using iOS 9 or iOS 10 on their iPhones, iPads and iPods. Many user report that their iDevices get slow by showing lag and delay in response for user interface. There are few general solutions mentioned below. There is a feature in iOS that supports background activity for different apps. Turning off this feature will surely make iPhone run faster. Following the steps to disable background App refresh. Step 1. Open Setting > General. Step 2. 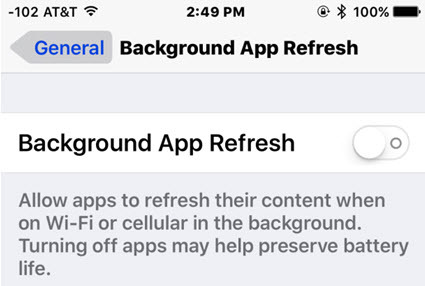 Search for “Background App Refresh” toggle to turn off this feature. Step 3. Now exit setting, and your device will work smoother. If you don’t delete your text conversations often, and have stored too many texts on your iPhone, they may effect performance of your iPhone. Go to Settings -> Messages -> Keep Message. Now you can select time for which you want to keep up your conversations. Deleting text messages and multimedia files can free up iPhone space and improve the performance of your iPhone. You can also do this with Umate Pro which can mass delete all iPhone messages in 1-click, it can even permanently erase the iMessages that you have deleted in the past but still exist in you device, such files can be easily recovered by wrong hands, to avoid privacy leak, we'd better erase them. Turn on auto updates all the times can make your iPhone slow because it may trying to update any app in the background. So turning off your auto updates will ensure that your iPhone will never lag because of background updates. In order to turn off auto updates, go to Settings-> iTunes & App Store -> updates. Toggle updates option to turn off Auto updates. While all these tips above can help to improve iPhone performance, it do have some disadvantages. 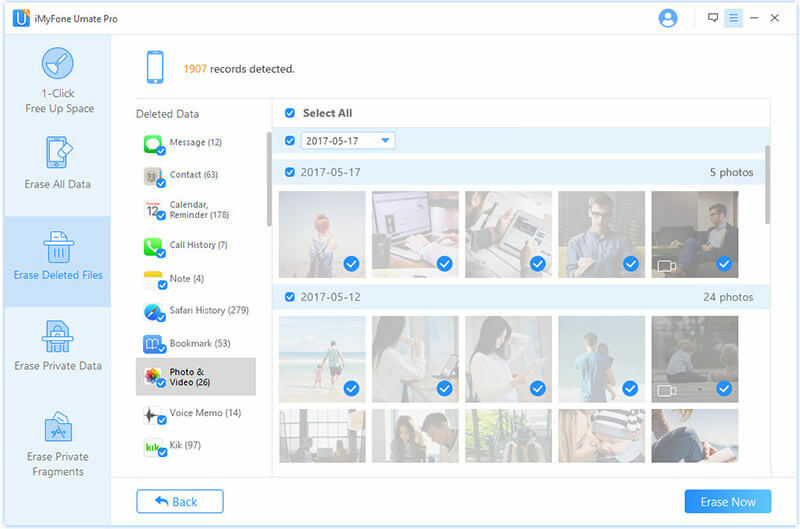 Rather than stopping auto updates and deleting text messages that don’t matter, iMyfone Umate Pro can delete useless files such as temporary files, junk files, manage large media files / apps that occupy a large chunk of memory and slow down performance, and permanently erase private data & previously deleted files to avoid privacy leakage. Clear up junk & temporary files is only a basic cleanup, if want to give your iPhone a deep cleanup, there are still a lot to do. We all know that there are many data recovery software for iPhone, but why they can do it? Because the files deleted in normal ways still exist on your iPhone before having been completely overwritten. So these files can be recovered easily. But, mostly, we delete files because we don't need them or because they are sensitive data. So, instead of letting these files exist on your iPhone and eat up your space, we'd better permanently erase them. By doing this, you can not only make your iPhone run faster, but also protect your privacy. Compress Photos: If you do not want to delete your meaningful photos. By compressing iPhone photos, you can reclaim 75% of your photo's space. Mass Delete Photos/Videos: With this function, you can preview all the photos/videos on iPhone and select the unwanted files, then mass delete them in 1-click. Delete Apps in Bulk: Our iPhone filled with apps that are no longer needed, with Umate, you just need to select all the unwanted apps and lick on "Clean" button to remove all them. Permanently erase personal data: iPhone, as a personal tool, contains many sensitive private information, such as bank data, personal photos and videos, business messages etc. Erase these private files permanently will make sure that even recovery software could not recovery your data. Note: Before compressing and deleting, Umate back up automatically your original photos/videos on PC.